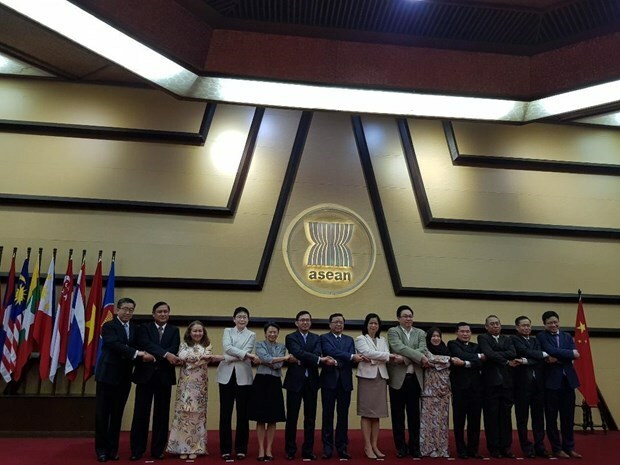 Jakarta (VNA) – The 20th ASEAN-China Joint Cooperation Committee (ACJCC) Meeting took place in Jakarta, Indonesia on April 9. At the event, participants spoke highly of the development of ASEAN-China relations in all fields. As of 2017, two-way trade hit 436.8 billion USD, accounting for 17.1 percent of ASEAN’s trade. Meanwhile, China’s direct investment into ASEAN reached 11.3 billion USD in the year, making up 8.2 percent.